Accommodation includes luxurious guest rooms, deluxe suites and a sumptuous presidential suite. 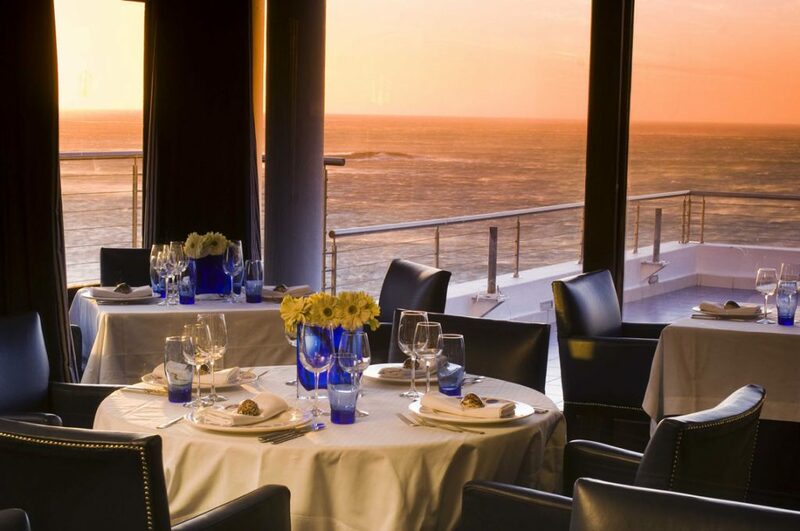 The Azure Restaurant and Leopard bar offers excellent food and endless sea views where Guests have the opportunity to see Whales, seals and Dolphins. 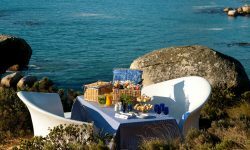 Named the Leading Spa Resort in Africa The Twelve Apostles is a beautifully exclusive hide away where guests have the freedom to be as active as they wish to be. 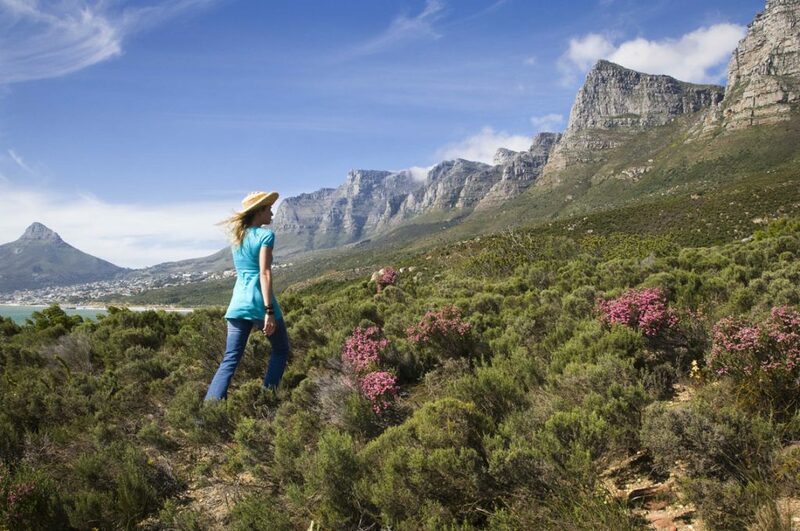 Guests have a choice of hiking through the mountain trails, working out in the fitness room, learning to dive – or merely relax and let go at the World famous Spa. The hotel boasts a heated infinity pool overlooking the ocean and a smaller secluded rock pool with unique mountain views. 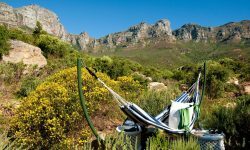 Guests can walk or jog through hotel park trails, or settle into one of the many idyllic garden hammocks, swim or relax on nearby golden beaches, play golf, go fishing or explore ancient shipwrecks. One of the best features of the Hotel is The Spa which offers an oasis of tranquillity within the surrounding rocks. Inside there are hot and cold plunge pools and a hydrotherapy bath. The spa features seven treatment rooms offering a range of treatments including many based on the indigenous fynbos flora. 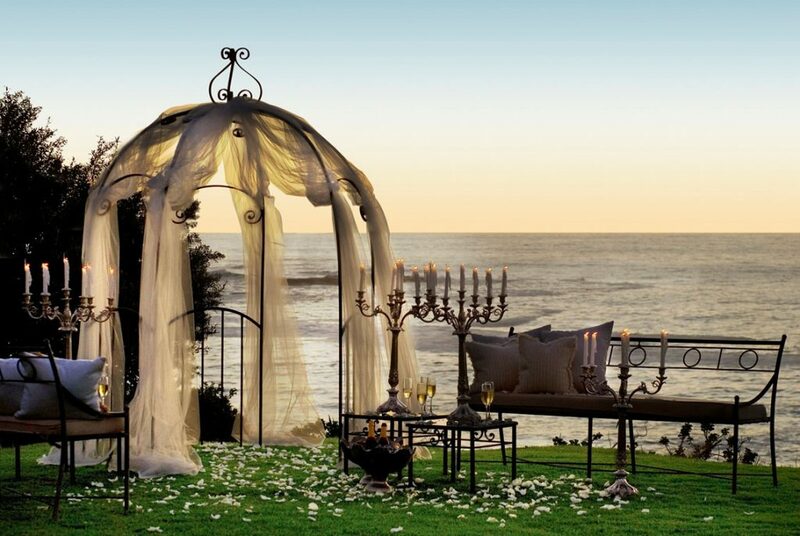 Guests can chose the secluded open-air treatment looking into the vast ocean. 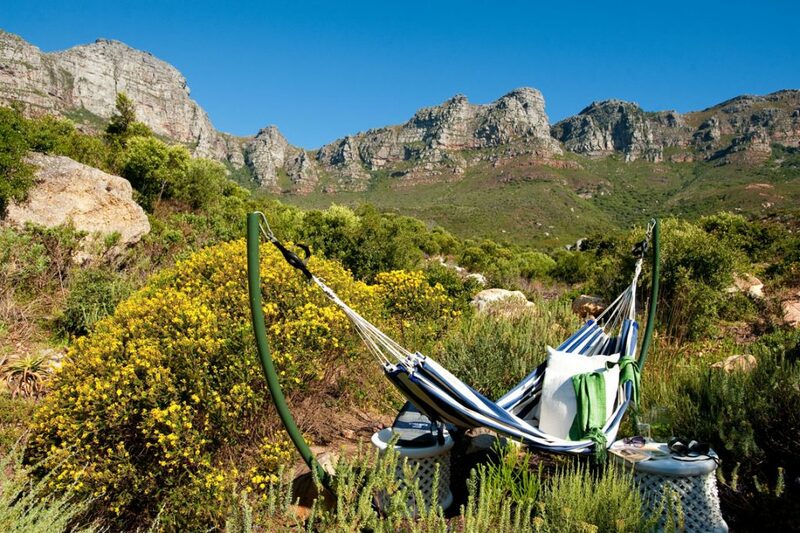 All the rooms have stunning views of either the majestic mountains or the ocean, which offers spectacular sunsets. The 70 Rooms are lightly decorated with a airy feel making guests feel relaxed from the minute they step in. The contemporary African Style with classic European comfort and the modern day technology such as individual Air conditioning, entertainment centre and 24 hour room service offer all the creature comforts one needs. Extra facilities at the twelve Apostles include: A 16 seater for private movie cinema , Helicopter transfers to The V&A Waterfront and complimentary scheduled transfers to and from Camps Bay and The V&A Waterfront. The hotel also offers free WIFI and conference facilities and wedding events. Children of all ages are welcome at Twelve Apostles Hotel.